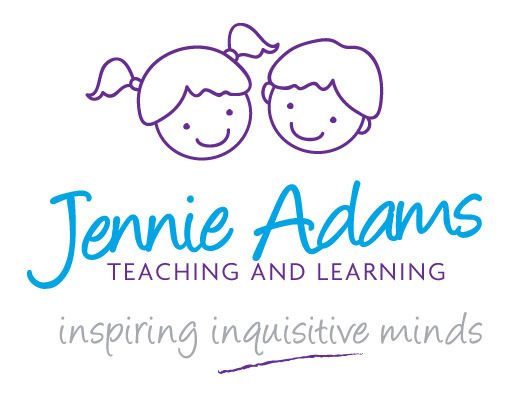 Why should I choose Jennie Adams Teaching and Learning? My one-to-one teaching and learning sessions for primary age children are a great way to grow confidence, overcome barriers to learning, focus on areas of interest in greater depth or simply inspire an inquisitive mind. If you need help in supporting your child's learning and development, then I can help you. My sessions are not dictated by term times and our terms and conditions are flexible. I am a specialist in Primary Education whose career spans the roles of outstanding Class Teacher, Deputy Headteacher and Acting Headteacher. I have 18 years’ experience of working with children from Early Years Foundation Stage to Year 6 across local authorities in the Midlands and South East. I am passionate about education and believe that all children, taught in a way that suits their needs, have the capacity to be the best that they can be. I am a qualified primary teacher (BA Education with Qualified Teacher Status) with over 18 years’ experience. The majority of my career has been spent in senior leadership roles. I am trained in safeguarding and hold a DBS certificate. How do I know that you’re the right person to help my child? I offer a FREE initial consultation to discuss your requirements and so that you can get to know me a little better and ask any questions. My preference is for this to be face to face but we can also discuss your requirements via telephone, Skype or FaceTime and at a time convenient to you. Which curriculum areas do the teaching and learning sessions cover and what sort of things will my child do during a session? Sessions are available for Maths, English, Science and Foundation Subjects for children in Early Years to Year 6. I use a range of teaching strategies and learning aids, but most importantly learning is fun, creative, and specifically designed to meet the needs of the learner based upon their interests. Parents are also welcome to participate so that the learning is a shared experience and can continue beyond the session. How do I book teaching and learning sessions? After getting in touch, a booking form will be sent to you. It must be completed before the commencement of a block of teaching and learning sessions. Please return to Jennie via hello@jennieadams.co.uk. Once your booking form and payment are received, you will be sent a confirmation email outlining session dates, times and venue. How many teaching and learning sessions can I book? What do I do whilst my child is having a session? · Actively participate within the session. · Stay and listen in. · Stay and relax in another room. · Leave your child and pick them up at the end of the session if you’d prefer an hour to yourself. Do we need to bring anything to the sessions? No, all resources are provided. How long does a teaching and learning session last? Each session will last for one hour unless otherwise agreed. A full hour’s session is only guaranteed if the client arrives on time. Where do the teaching and learning sessions take place? Sessions take place at my home in Lindfield. How do I pay for the teaching and learning sessions? Payments can be made via online bank transfer. When do I need to pay for sessions that I want to book? Payment must be received prior to the first session of your booking to secure your allocated dates. · A free session when you Introduce a friend who takes up a block booking. What do I do if I need to cancel my session? · For block bookings of 3 or more sessions, 1 session may be cancelled and rearranged for a mutually agreeable time, providing the cancellation is made more than ​24 hours in advance​ of the session. · Any additional cancellations will be charged at the full pay as you go session rate. · If the teacher cancels a session you will not be charged and an alternative date and time will be agreed. Occasionally, I may take photographs of the children and their work and use these images in printed publications, as well as on my website and Facebook Page. I may also make video, audio or webcam recordings for the same purpose and other educational uses. To comply with the Data Protection Act 1998, I need your permission before I can do this. What are the conditions of use for media consent? · I will not use the personal details or full names (which means first name and surname) of any child in a photographic image, on video, on my website, Facebook page or in any other printed publications. · I will not include personal e-mail, postal addresses or telephone numbers in photographic images, on video, on my website or Facebook page or in other printed publications. · I may use group photographs or footage with very general labels, such as ‘a science lesson’ or ‘making Christmas decorations'. · I will only use images of pupils who are suitably dressed, to reduce the risk of such images being used inappropriately.